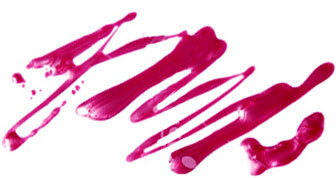 It's no question that Ciaté is the leader in nail art. They were the first to bring us the Caviar Manicure, and have been topping that with more awesome nail art DIY kits since then. We're always excited to see what the UK brand will come up with next. Each new launch is better than the last. Their latest nail art offering is bringing us back to the days where we would sit in class and doodle in our notebooks. Oh, how times have changed! The Chalkboard Manicure kit lets our inner child soar. It features a Chalkboard Paint Pot, four Chalk Pens in kitchy school lingo, and a Mattnificent Matte Top Coat to seal the deal. Your nails will look like a real chalkboard displaying your own unique designs. But, if you're stumped on what to doodle on your tips, the kit also comes with an inspiration booklet! The best part is, if you mess up on your design, the chalk pens can be easily removed with a wet cotton pad. You don't even have to repaint your nails! We can't even begin to describe how easy this kit is to use, but Ciaté's YouTube channel gives us amazing how-tos for all of their nail art kits. Check out the Chalkboard Manicure video how-to below! 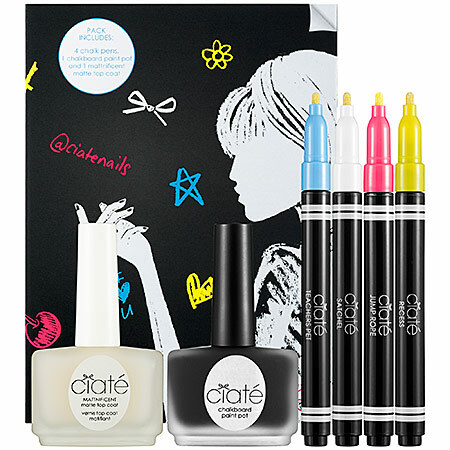 Ciaté Chalkboard Manicure is available for $25 at Sephora and Sephora.com now!